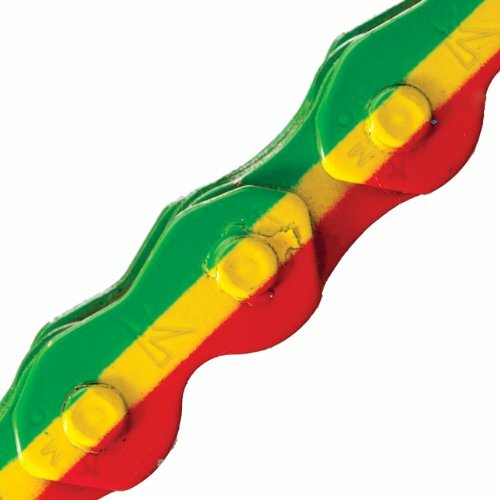 KMC Kool Chain K710 1/2 X 1/8 RASTA 112 links. ;Kool Chain, asymmetric to increase strength on the outside edge of the outer plates. ;For BMX, Track, Single Speed & Fixies ! Show your Colors ! ;Stretch proof, mushroom pin & DropBuster ! ;1/2x1/8, rasta red/yellow/green each.